Sometimes invitations to speak come from unexpected but no less welcoming places. In this case the Zambian Institute of Human Resource Management (ZIHRM) invited me to come speak about high performance organizations during their 17th annual convention, to be held in Livingstone, near the world-famous Victoria Waterfalls. The reason I was invited was because one of the members of the organizing committee Mrs. Adrine Muchimba had recommended me as speaker. Mrs. Muchimba, who is the HR manager of the Zambia Weight & Measurement Agency, knew me of the HPO Diagnosis I had conducted at the agency in 2013. It was of course with great pleasure that I accepted the invitation and undertook the day-long journey from Amsterdam to Livingstone. After having been greeted by the President of the ZIHRM, Mr. Andrew Chisala, I was seated at the first table amidst several illustrious speakers. On my right the Minister of Labor, Hon. Fackson Shameda, who was going to perform the official opening of the convention in a humorous way; and to my left Mrs. Nene Molefi, managing director of the South African based Mandata Molefi Human Resource Consultants, who was going to speak on leadership development and change management and the role of HR in these processes. The next morning it was my turn to address the 200+ delegates on the virtues of high performance organizations. 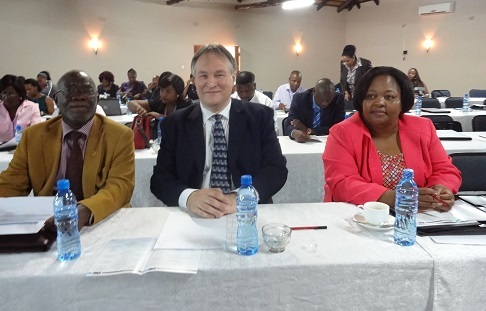 In addition to the HPO theory and accompanying practical examples I related some of my experiences at Zambia Weight & Measurement Agency. 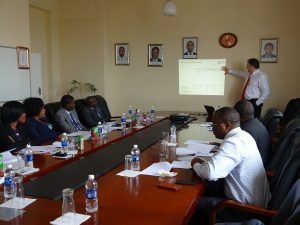 These experiences included the fact that not only the HPO Framework is suitable for a Zambian governmental agency but also that it provides an excellent roadmap for management to make the right choices toward high performance. My talk was received quite well and several interesting questions were asked, both directly after the presentation and during the ensuing coffee break. After hard work it is good to relax and what better way to do this by visiting the nearby Victoria waterfalls! As this was the end of the dry season there wasn’t that much water in these falls which is both a disappointment and a blessing. A disappointment as the magnificent sight and sound of thundering water was not to be experienced, but a blessing as this was the only time in the year that you could see clearly how the waterfalls are shaped. And an added bonus: that you can take pictures without you and your camera getting drenched. 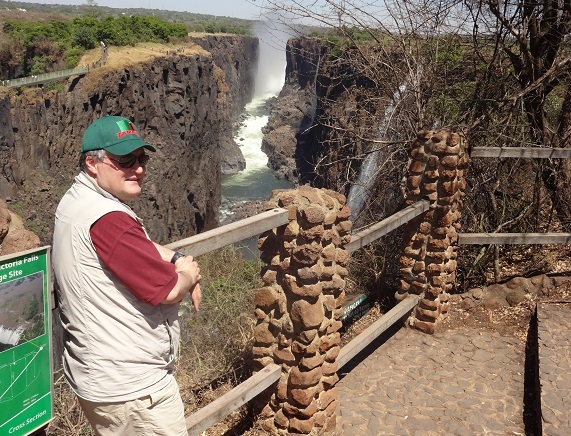 After a short reflecting I came to the conclusion that the Victoria Waterfalls are high performance waterfalls, no matter which time of year, and that I also have a good excuse to return in the April – May period to see the falls in their full glory!